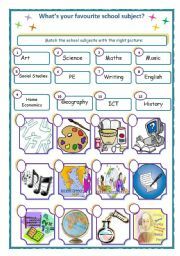 My name is Maria Emmanouilidou and I´m an EFL teacher in Greece. I work in a primary school in Thessaloniki. I work with students aged 8-12 but I´ve had teaching experience with high school students and adults as well. 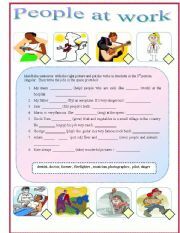 The following worksheet includes two exercises. The first one entirely focuses on the vocabulary. 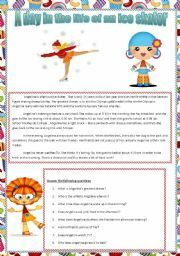 The second one is slightly more difficult , therefore teachers can omit it with younger students. Key is included.I would like to thank Jecika once again for the fantastic template! 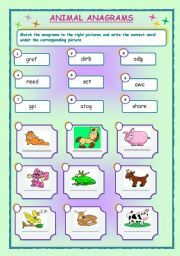 This is a simple worksheet to practise the formation of sentences in present continuous- affirmative form. 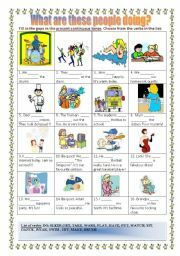 This is a simple worksheet to learn vocabulary about jobs and to practise the 3rd person singular. If you want to make it more challenging, you can remove the words at the end. I would like to thank Charmed One for the great and useful template. 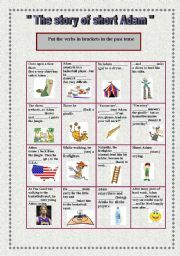 A revision test on the present simple, placing special emphasis on "like" in the third exercise. 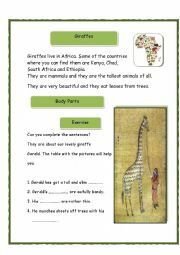 We teach literature in our school and at the moment we are working on "Giraffes Can´t Dance". You can find the story on youtube. I would really like to thank marinaru for the template. A story that inspires positive thinking. Dedicated to Adam who is always a source of inspiration. Enjoy! 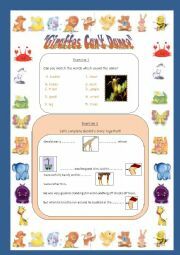 This is a short test that I have prepared for my students on the fantastic book "Giraffes Can´t Dance" which you can also find available on youtube. You might use it as spelling, too. Eva is a moody girl...but also very expressive. Have your students guess how she feels before they actually read the comments.At the end of the presentation there is also a matching exercise. Recently, I´ve been trying to initiate my students into art. I think that the use of original paintings in the classroom makes them really observant and offers them incentive to be really creative. I hope you like them. Future tense using "going to"